Every now and then I mention to you the bookmark swap I'm in. 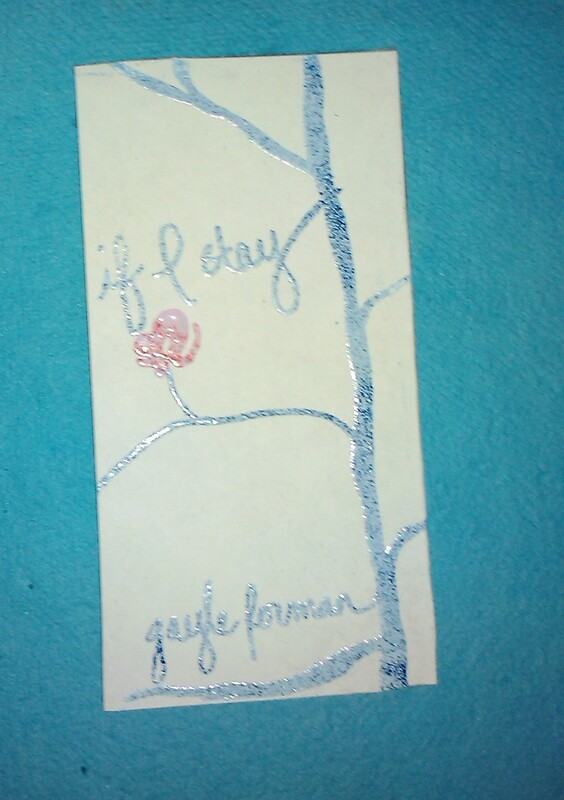 And I've shown you a few bookmarks, like the results of the first swap, or my favorite that I've done, the Fallen bookmark. Since this is something I do every month, I thought it might be fun every now and then to walk you through the process of creating the bookmark, so some of you maybe inspired to make your own, for personal use or for gifts! If you have a suggestion for a specific book you'd like to see me make into a bookmark, let me know in the comments! This was a "free round" where we worked without a theme. I ended up choosing If I Stay purely on a whim. It was lying atop a stack of books, and I glanced at it and thought "That would make a neat bookmark if you could bleach in the image of the tree..."
Step 1: I first very lightly sketched out the shape of the tree on the flat side of the mulberry paper using the fine paintbrush (like an eyelash brush) dipped in bleach, using the book cover as a guide. This is important: if you draw on the fibrous, ridged side of the paper, the bleach will spread and blotch. Also, you must sketch very lightly, and pause in between each section/dip of the brush, to allow the bleach to develop, so you can see what you're doing. To finish the tree, I alternated between the brush, embossing tool and toothpick, adding to the limbs and trunk until I had a passable tree. 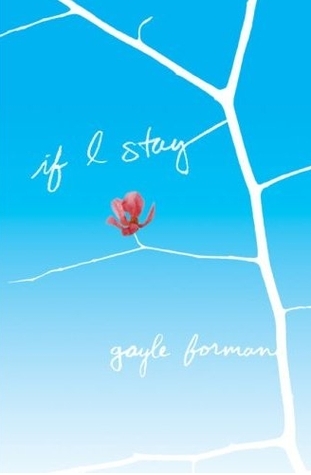 I write "If I Stay" and "Gayle Forman" with the toothpick. This was the hardest part, as I had limited space and the bleach wants to spread. 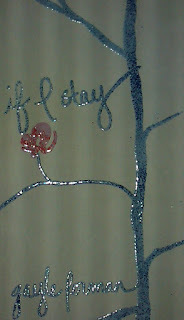 I drew on the flower of the tree with the smallest rounded end of the embossing tool, starting small and expanding out as necessary. Step 2: I rouged the center of the flower just a tiny bit with some deep pink ink on the tip of a cotton swab. 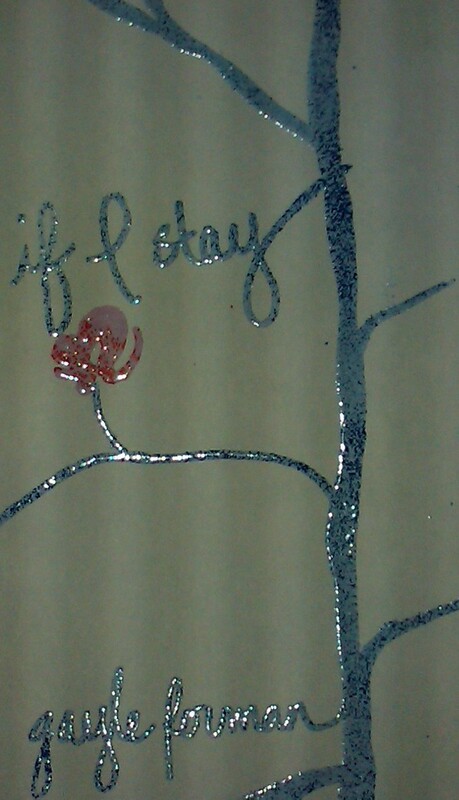 I then colored over all of the flower with the embossing pen, sprinkled on a tiny bit of purple and red embossing powders in the very center, and light pink around the rest of the flower, and melted it with the heat gun. Mulberry paper has a tendency to curl and/or singe when heat is applied, so you have to be very light-handed in this step. 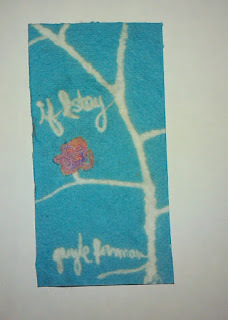 That finished this side of the bookmark. I sketched out the same tree, flower, and words on a piece of sketch paper using the embossing pen, doing the tree first in blue and gray tones, and adding the flower in the same pink/purple/red combo. Note: the paper is plain white, not striped. 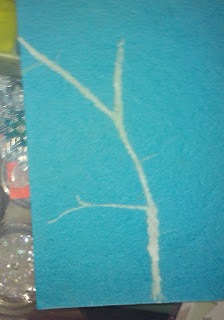 That's something my camera added, though I kind of like the look. And there you have it! I hope you'll consider making your own bookmarks and sharing them with the readers in your life. Next month, we're making sci-fi bookmarks...stay tuned! So neat! 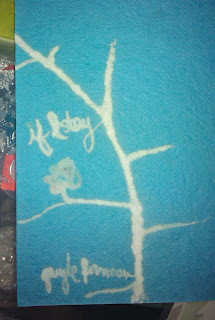 I would have never thought to use bleach for arts and crafts. 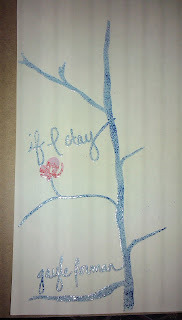 I'm especially fond of the white one with the embossing paint. Also, I'm really jealous of your handwriting. It's so neat and pretty! 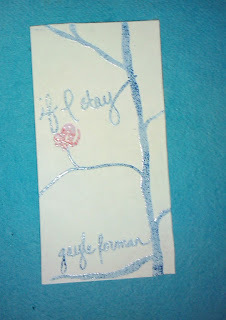 I love that you post about your bookmarks! I am NOT at all crafty, which is why I've never participated in the bm swaps. I'd feel so guilty if I was getting some awesomly labor intensive bookmark and I sent out something lame or purchased... :/ Fail! But I love, love, love seeing the bookmarks you come up with Misty! So awesome!